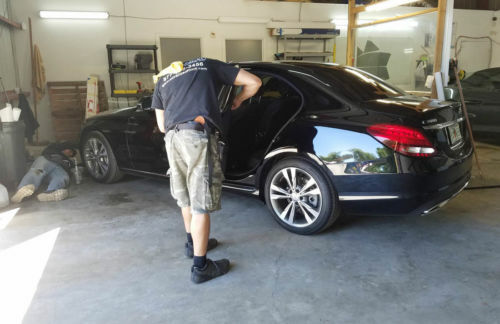 Tampa Bay drivers deserve the best automotive window films. We are exclusive FormulaOne and Llumar ATR providers. We offer the Pinnacle Window Films. These nano-ceramic films will never interfere with sophisticated electronics, GPS or satellite communications. Our professional installation team will ensure that your film is installed to impeccable standards. Make the Smart, Safe and Simple choice; choose Tampa’s FormulaOne Dealer. IMPORTANT INFO for NEW CARS! If you are planning to buy a new car, then you should know that 70% of all new models have Bluetooth (TM) technology on-board; combined with cell phones and GPS our FormulaOne Pinnacle Ceramic Films are the sound choice! No interference with EM signals! Protect your family from the harmful UV rays coming through your car’s windows. Our FormulaONE Films have an SPF of 10,000 plus! Our films are recommended by the Skin Cancer Foundation. Advanced Film Solutions is on the cutting edge of today’s automobile window film technology. We use computer cutting plotter and software to cut your film. This eliminates cutting on industry soft glass and eliminates the possibility of damage to your car’s glass or paint. Call 877-575-3456 Today For More Info about Automobile Film Window Tinting!